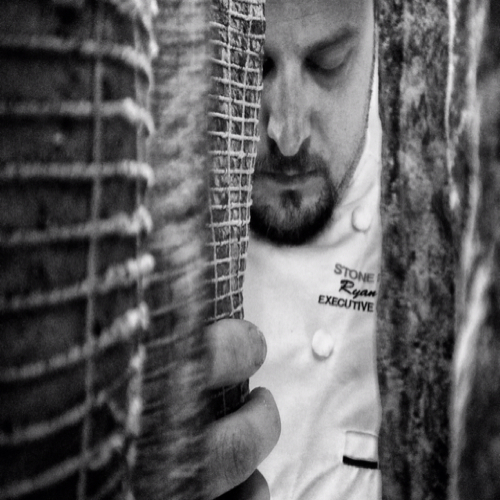 You could probably write a book on the exploits, past, present and future, of Niagara chef Ryan Crawford. He has already lived a life packed in extraordinary culinary richness and has mapped out a future that seems impossible to achieve. Yet there is little doubt he will accomplish every goal he has set for himself. You can scratch one of those goals off his list. His first Crawford Wine Project wines are in bottle and being enjoyed by friends and starting to appear on restaurant wine lists. 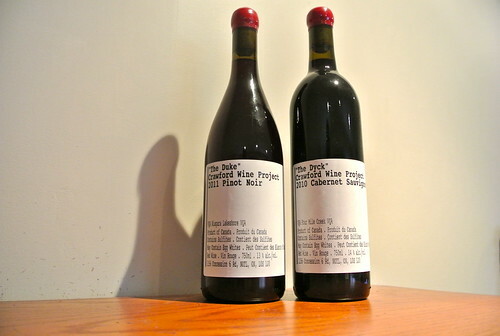 Like all of Crawford’s projects (see Gastrohomestead), how his wine came to be is as much about the journey as it is about what is in the bottle. I am going to let Crawford explain, in his own words, because it is a fascinating journey involving a lot of help from his friends. “My journey started in culinary school in 1998 when my teacher, Jacques Marie, introduced me to the world of wine. Later, I moved to Niagara to further my culinary career but even more so to immerse myself in wine country. I soon became a sommelier and befriended as many winemakers and grape growers as I could. I was fortunate to be working at the Stone Road Grille (SRG), which quickly became the winemakers’ hangout of Niagara. With myself firmly established in “wine country” I was eager learn more: What is bottle shock? Why does filtering dumb down a wine? What does the wine taste like in different vintages of oak? 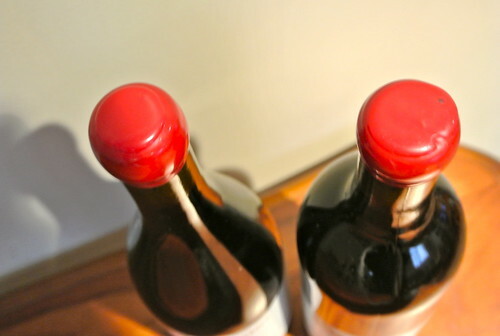 How do yeasts affect wine? 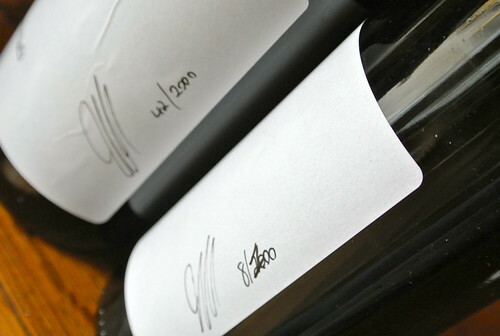 What are the difference between freshly sulphuretted wines? Malo, what does it taste like? Barrel ferment or not? I started poking my head around wineries and asking as many questions as I could. 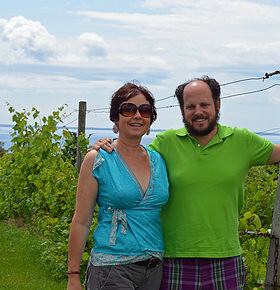 Finally, in 2008, I convinced my good friend Derek Barnett of Lailey Vineyard to take me on as a stagiaire that harvest. I would work dragging hoses, power washing bins, and punching down every morning before I dragged myself away to my ‘real’ job. I fell in love. Derek taught me everything he knew and guided me towards my own project. We planned to do Syrah in 2009. However, with the poor vintage we decided to put it on hold for a year. I continued to be a stagiaire throughout 2009 and learned as much as I could. My first vintage was 2010. Everything was set. Syrah was looking fantastic! Derek and I sourced some new vineyards. Perfect. But then the harvest date came. The same day as my wedding! Derek agreed to take my Syrah for his winery but said we’d find something else. Maybe some cab? He had a special block at the Dyck Vineyard. I agreed. I figured it was better keep my bride happy. Everyone connected to the wine region in Niagara, even in Ontario, is fantastic. Roselyn from Cattail Creek was nice enough to rent me some space to make my wine. Sorry about the pump Rosie. Oops. Beginner mistake. But her pink toolkit saved the day. Derek helped me with my wine daily and is the reason why the wine is so good. Charles Baker of Stratus hooked me up with used barrels the first year. Frederic from Huff Estates helped me convince my wife to allow me to buy some newer barrels. Anne Sperling gave me a good deal on some once- and twice-filled barrels and I racked my wine into those. I continued to bug Kevin (Panagapka) from 2027 cellars, one of Niagara’s premiere virtual wineries, for advice and guidance. Friends and co-workers all came to the winery to help press, rack, filter, and bottle my wines. 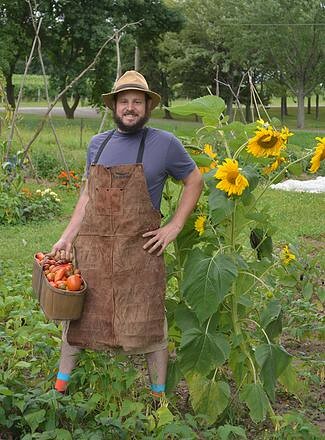 It was a community of winery professionals helping a chef and sommelier follow his dreams. For the second vintage I tried a different grape. Pinot Noir. Luckily one of Niagara’s premiere grape growers, Ray Duke, loved my food and ate at the SRG weekly. When I told him my plans he happily reserved a couple of rows of fruit and we made the first-single vineyard wine from the Duke Vineyard. That year, Paul Harber of Ravine gave me a couple more barrels and Rob Power from Creekside bartered food for some used barrels he had as well. It’s a great feeling working in Niagara. When bottling time came even more people stepped up to help. Marty Werner, the winemaker at Ravine, and his assistant Ben helped me move my wine for filtering and bottling. Assistant winemaker Pete (Graham), from Lailey, helped me filter my wines. And then on bottling day another friend, Chef Andrew McLeod of Spencer’s at the Waterfront in Burlington helped on the bottling line for six hours. It has been an amazing journey and I thank everyone who helped. Yet, in particular I’d like to thank Perry and Heidi of the Stone Road Grille for allowing me to follow my dreams. And, most importantly, my wife for punching down, driving around, listening and advising and ultimately encouraging and supporting my insanity. 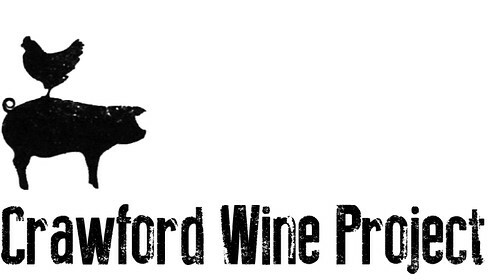 I was lucky to try both of Crawford’s wines and was impressed with his first effort. I have provided reviews below. 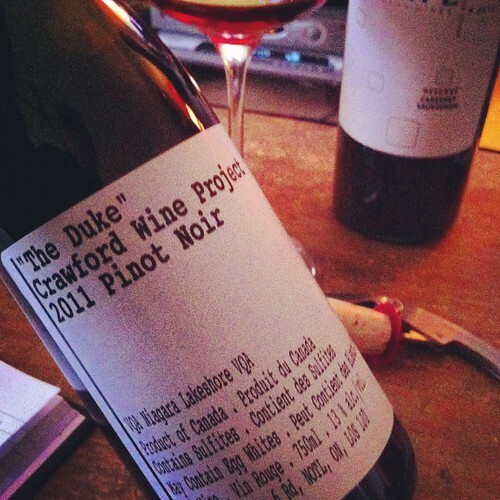 Crawford Wine Project “The Duke” Pinot Noir 2011 ($24, 91 points) – Both of Crawford’s wines are entirely hand-made, hand-bottled (with wax seal, see photo above), hand-labeled, signed and numbered. The Duke Vineyard is in the Niagara Lakeshore sub-appellation, planted to Clone 114. Six different yeasts are used. I love the nose on this non-textbook Pinot and its rustic nose of black cherry, foraged mushrooms, wild field raspberry, forest floor, lifted perfume and light spice notes. The fine and silky tannins are fully integrated with complex earthy-bramble, cran-cherry and wonderful mocha-vanilla flavours. There is a polished feel on the palate but still enough wildness to stand out in a crowd. 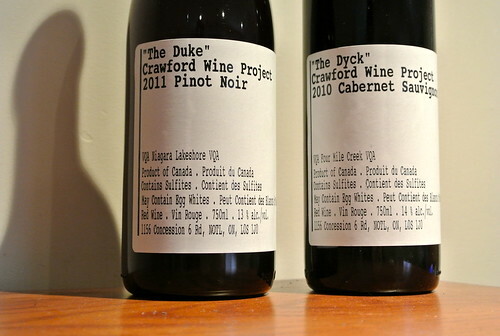 Crawford Wine Project “The Dyke” Cabernet Sauvignon 2010 ($24, 90 points) – Crawford used Cabernet fruit sourced from the Dyck Vineyard in Four-Mile Creek, planted to Clone 169. It was aged in neutral oak for six months with less stirring for the first three months. It was then aged in 25% new French oak for 24 months. It’s a mid-weight Cab yet perfectly ripe and nicely aged at this point. The nose shows an array of integrated red fruits, lovely oak spice and cassis notes. It shows its true colours on the palate with plums, cherries, vanilla, blackberry and cocoa all cradled in fine oak tannins and spice. This is cool-climate Cab, though from a warm vintage and Crawford has maintained balance between ripe fruit and acidity. And it’s drinking really fine right now. Flat Rock The Rusty Shed Chardonnay 2011 ($25, 89 points) — The 2011 Rusty Shed was left on the vine until Oct. 7 to fully ripen. The nose show pretty floral notes to go with pear, citrus, soft vanilla, spice and minerals. It has lovely finesse on the palate with a balanced approach to the fruit and spice. A tasty Chard. 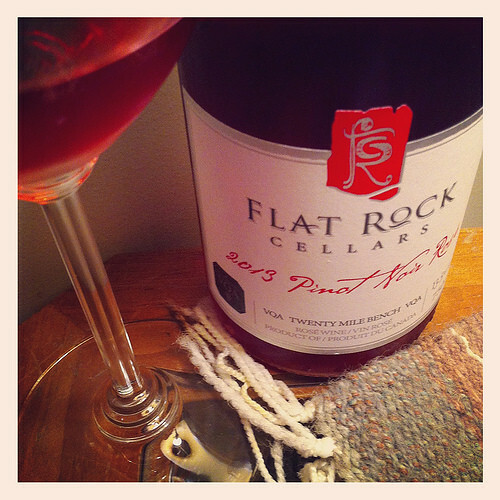 Flat Rock Pinot Noir Rose 2013 ($17, 88 points) — The nose shows bright and lively raspberry and cherry fruits on the nose that are pure and fresh. It’s made in dry style with beautiful red fruits that wash over the palate and lead to a clean refreshing finish. Coyote’s Run Rare Vintage Meritage 2010 ($40, 91 points) — This winery only makes the Rare Vintage wines in the finest vintages. This is a very fine wine with a bold nose of plump, juicy blackberries, currants, black cherry-kirsch, plums and fine oak spices swirling about. Beautiful fruit concentration on the palate with ripeness but not overly aggressive tannins. The mélange of fruit is joined by Espresso bean, earth, sweet spices and a touch of minty herbs. Good energy and verve through the long finish. Drink or cellar this for a few years. Jean-Max Roger Sancerre Blanc Cuvee G.C. 2012 ($29, 91 points) — The nose of this Sauvignon Blanc from Sancerre is redolent in white summer flowers, grapefruit and mineral notes. Citrus washes over the palate in a refreshing mélange of ripe grapefruit and lime flavours and terrific minerality. Well balanced and delicious summer wine. Maipe Reserve Cabernet Sauvignon 2012 ($19, 92 points) — This is one of those wines that you may want to stock up on as it offers terrific value and incredible quality. From Mendoza, Argentina this Cab shows rich cocoa, black currants, cherry and interesting savoury spice notes. The blackberry and anise fruits are concentrated on the palate and bolstered by roasted Espresso bean, spice and balancing acidity. There’s a lot to like in this complex and structured red. Kacaba Cabernet Franc 2011 ($19, winery now, Vintages Feb. 15, 88 points) — A savoury nose of dried herbs, bay leaves, black currants, cherry and cigar box cedar. A typical cool-climate Cab Franc on the palate with a lean profile that shows interesting flavours of savoury spices, herbs, dark fruits, smoky notes to go with round tannins. 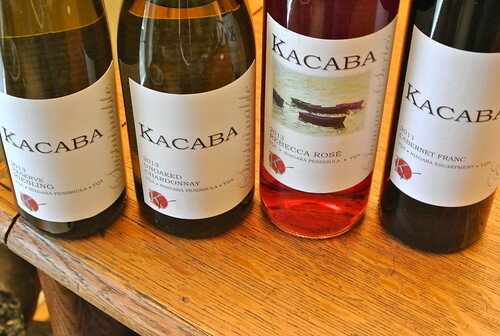 Kacaba Rebecca Rose 2013 ($15, June release at the winery, 88 points) — A nose of cherry, strawberry and some spicy bits in this blend of Syrah, Pinot Noir and Cabernet Franc. It’s off-dry on the palate with bold and fleshy red fruits that pack a punch. Nothing shy about this summer sipper. Kacaba Reserve Riesling 2013 ($18, June release at the winery, 89 points) — The nose displays citrus, lanolin, Asian pear, lime and tropical fruits. It shows tasty sweet-tart fruits on the palate with a kiss of honey. There is good verve and interesting minerals coursing through the core of this delightful and different Riesling. Kacaba Unoaked Chardonnay 2013 ($15, May release at the winery, LCBO, 90 points) — An array of tropical fruits, pear and apple on the palate with a clean and fresh profile. This is a tasty wine in the mouth with pineapple, ripe tropical fruits, a squirt of lime and a clean delivery through the finish. I’m loving the unoaked Chards emerging from Niagara.